Mangaluru, Dec 5, 2015 : Speaking after accepting suggestions compiled by MLC Ivan D’Souza collected from the members of the public Dec 4, Friday, MCC - Mangaluru City Corporation Commissioner Dr H N Gopalakrishna said the draft proposal prepared by compiling suggestions, provided by the public, NGOs, representatives of various organisations for the Smart City scheme of the Union government, will be uploaded to the website-mygov.in. The members of the public can give their suggestions to the draft proposal before December 11. He said the final proposal on the project will be submitted to the Union government on December 14. He said that under retrofitting development of area, the vicinity of Kunjathbail will be developed as an integrated township under the proposed project. The suggestions given by the people, NGOs in consultative meetings helped the MCC to give a shape to its Smart City project proposal to be submitted to the Union government. Mangaluru is among 98 cities shortlisted under the project proposal. The MCC is making efforts to be listed among top 20 cities to get funds in the first phase itself. Handing over the suggestions, MLC Ivan D’Souza said that he had placed a suggestion box in his office and received more than 150 suggestions from the public. 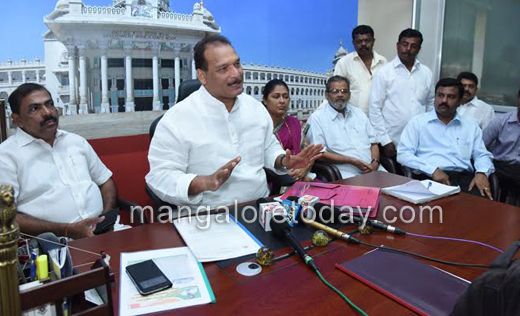 Explaining the suggestions received from the public, the MLC said that the interior areas of the Mangaluru City Corporation need to be developed along with dividing the city into Mangaluru City, New Mangaluru City and Coastal Town for development. With the shortage of land for widening the roads, the members of the public have suggested the construction of road over road to reduce the traffic congestion on existing roads. Stressing on the need for harnessing solar energy, they have suggested to set up a solar park to generate solar energy to meet the energy needs of the city. The beaches in the city should be developed and social and cultural programmes should be held continuously on beaches, the MLC explained. To mitigate the shortage of water, the public have suggested to develop water bodies in MCC limits. The footpaths and cycle ways should be constructed. To help the passengers to cross the busy roads, subways should be constructed. Some areas should be declared as vehicle-free zones, D’Souza said. He said that a proposal to construct multilevel car parking, shifting of city and service bus stands should be included in the Smart City project. The public have also suggested to earmark shopping street, food street and construct underground metro trains in the city along with the development of markets and ring roads, he added. 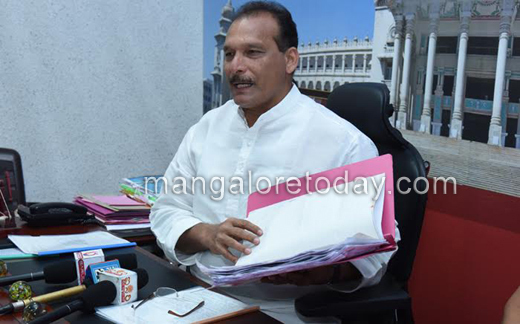 Applications : D’Souza said that his office on Mangaluru City Corporation premises has applications to apply for regularisation of land in urban areas under 94CC. The 94CC of the Karnataka Land Revenue Act empowers the State government to regularise the encroached land. A staffer in the office will assist the poor in filling the applications and submitting them to the Atalji Janasnehi Kendra.